Nothing is quite as frustrating as a computer that is either slow or that freezes. It almost always seems to happen when an important deadline is pending. Take a deep breath and think about the positive. A Custom Built Computer Vs A New Computer System? If your computer is not able to keep up with you then it is very likely that you need a computer that is custom made for your work load. For the average computer user, when your screen freezes or the low memory warning flashes, it is because you have too much stuff loaded onto your computer, and there is just not enough memory. That is an easy fix with computer optimization service and maybe some new RAM. For the above average computer user such as a serious gamer or programmer, even a brand new box computer is probably only going to get you so far before it starts to have problems too. Why Custom Built May be Better for Your? A custom built computer is made to handle what you dish out today and designed to handle tomorrow’s technology too. You won’t get that in a box computer off the shelf. Instead of getting the average graphics card, upgrade to something that is truly powerful. Don’t settle for the average motherboard. Upgrade to something that will handle everything you can throw at it. iTech Xpress can build you a computer that will handle everything you need it to handle. Including modern CPU and SSD components. If your old computer has stopped working, relax it may just be that it needs a new power supply. 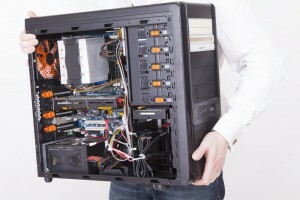 Instead of spending hundreds or even thousands of dollars on a new computer, talk to the professionals at iTech Xpress and see about having a custom built computer. We can add in a wireless configuration for your desktop or laptop. If you like cutting edge tech then try a touch screen LCD monitor for your desktop. We can add as much RAM as you need and even more RAM if you like. We even have state of the art solid state drives. If you are concerned about security issues on your old computer then, we can install a modern operating system and a top brand antivirus program. Whatever you need, we can build it for you. Our services and parts are guaranteed. We offer free diagnostic services too Glendora and the surrounding communities.